A girl needs to take time out of her busy day of training to eat! 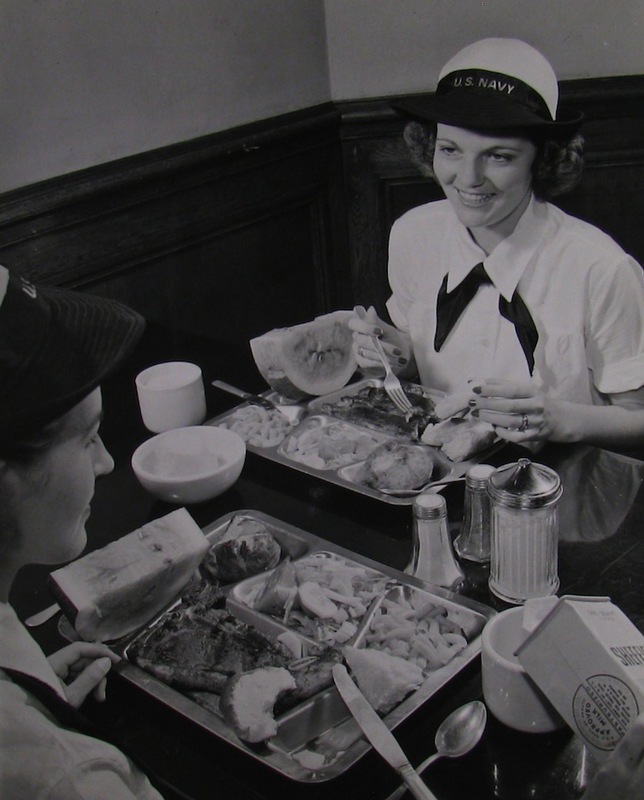 Here WAVE Maurine Hewitt and friend eat dinner in the mess hall at the Hunter College boot camp in 1943. The meal looks fairly hearty: steak, potatoes, veggies, pasta, rolls and a huge slab of watermelon.